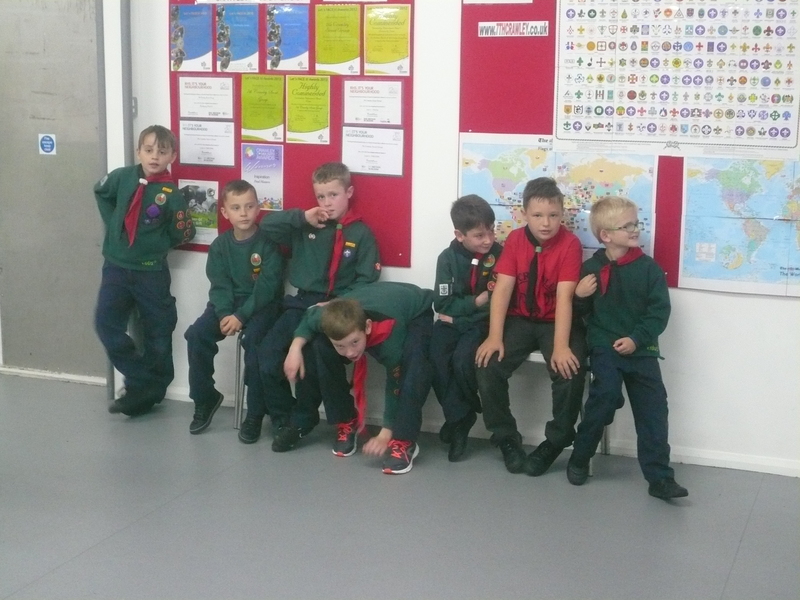 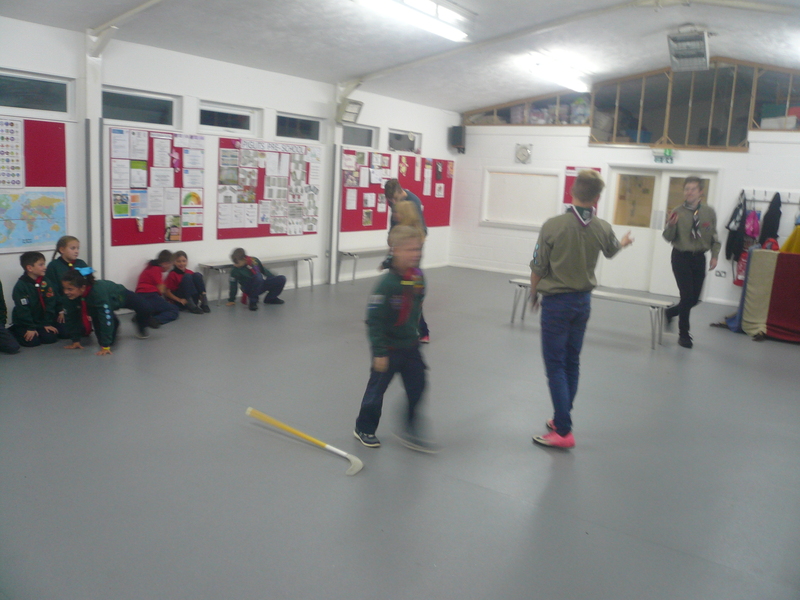 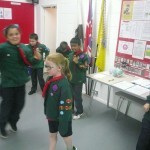 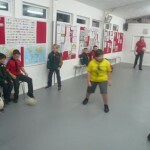 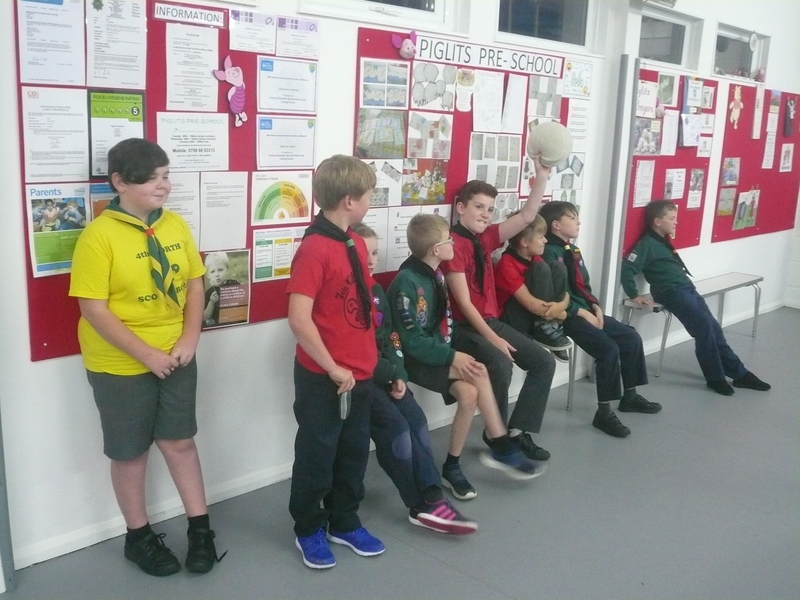 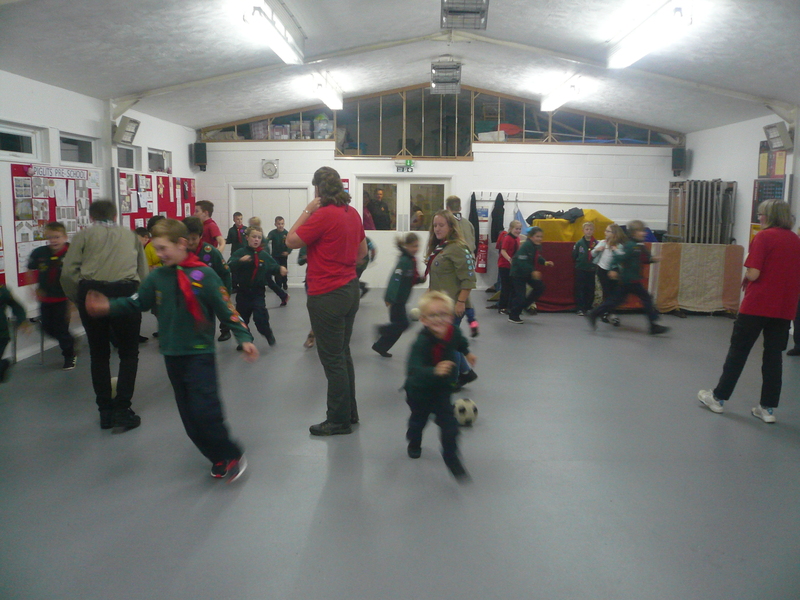 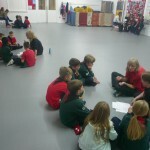 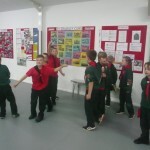 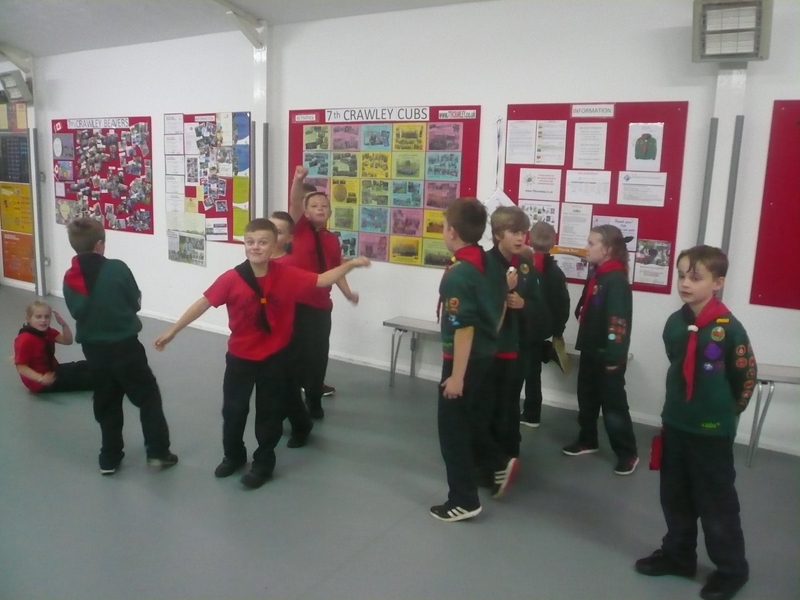 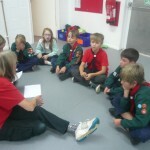 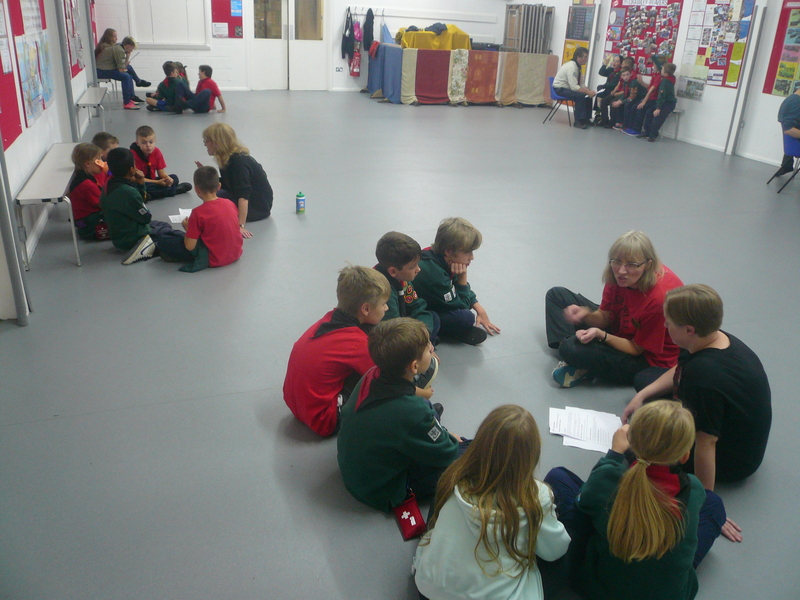 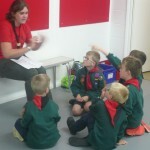 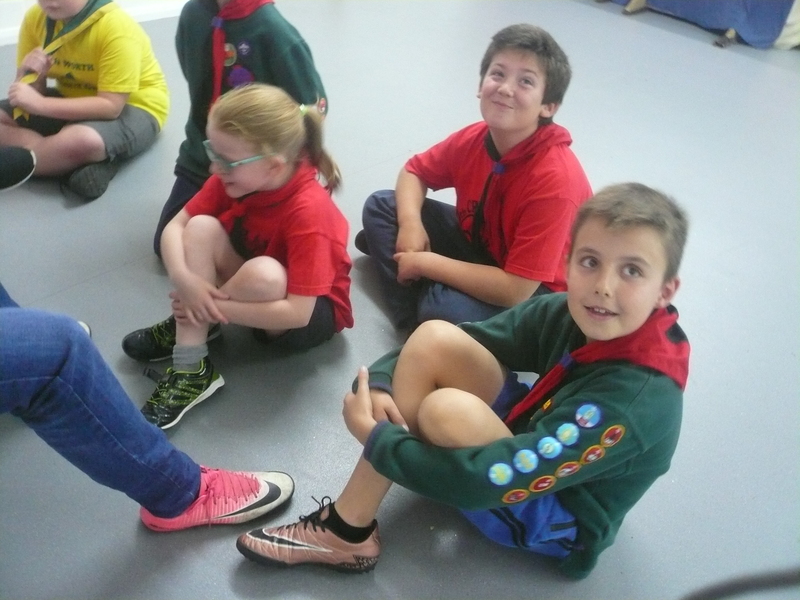 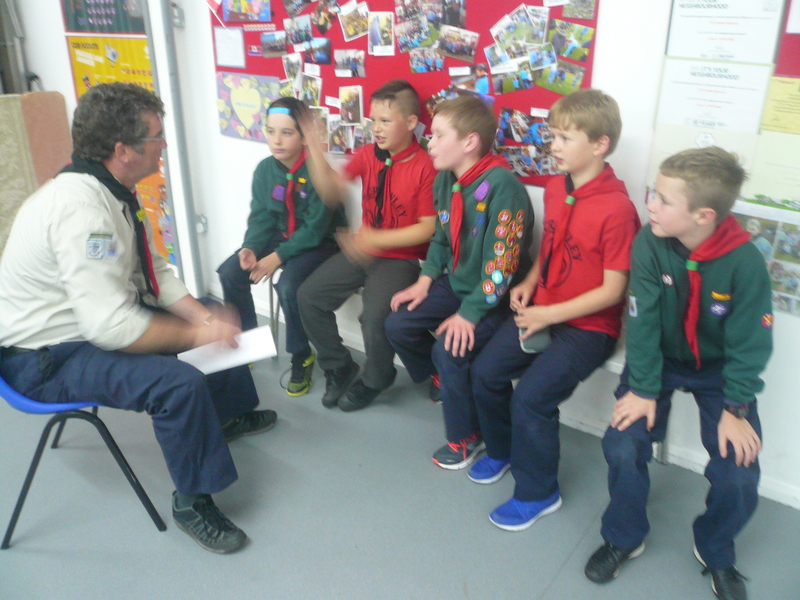 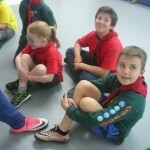 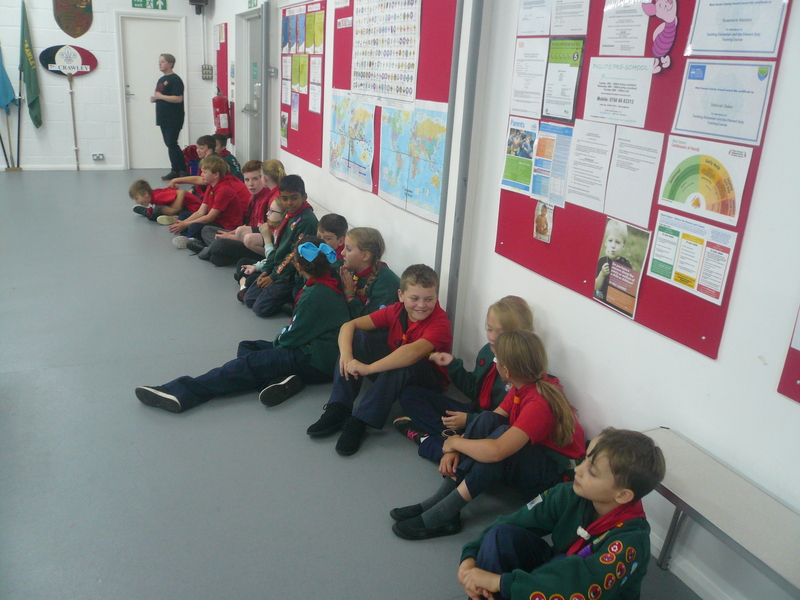 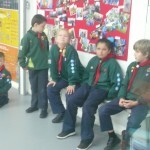 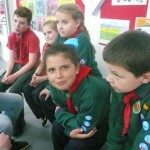 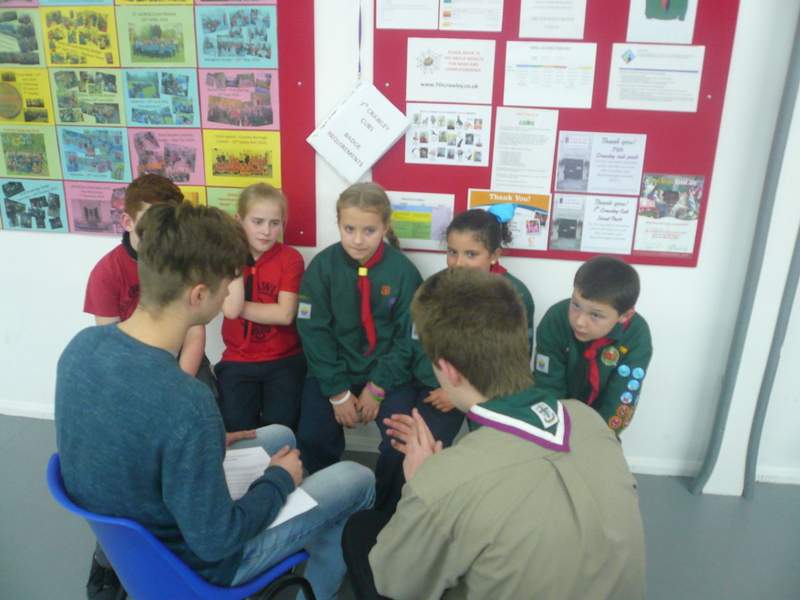 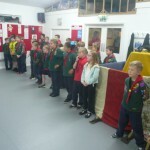 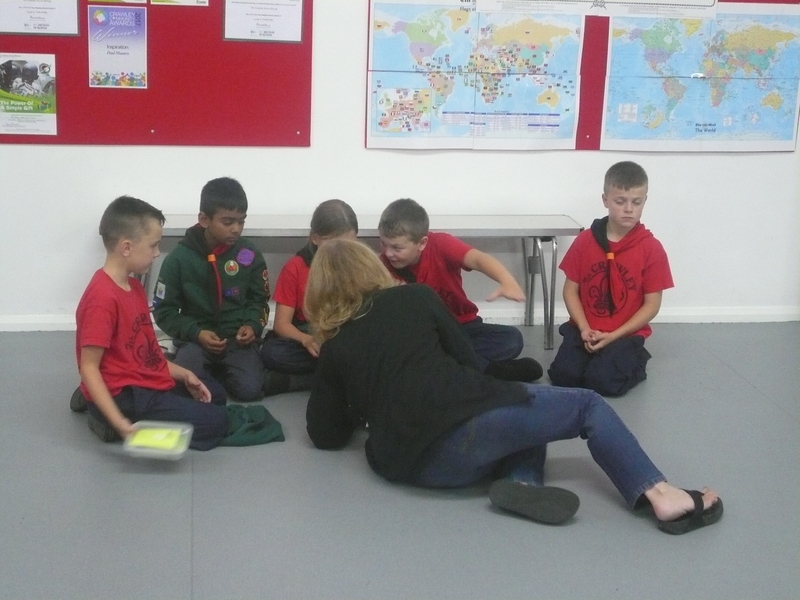 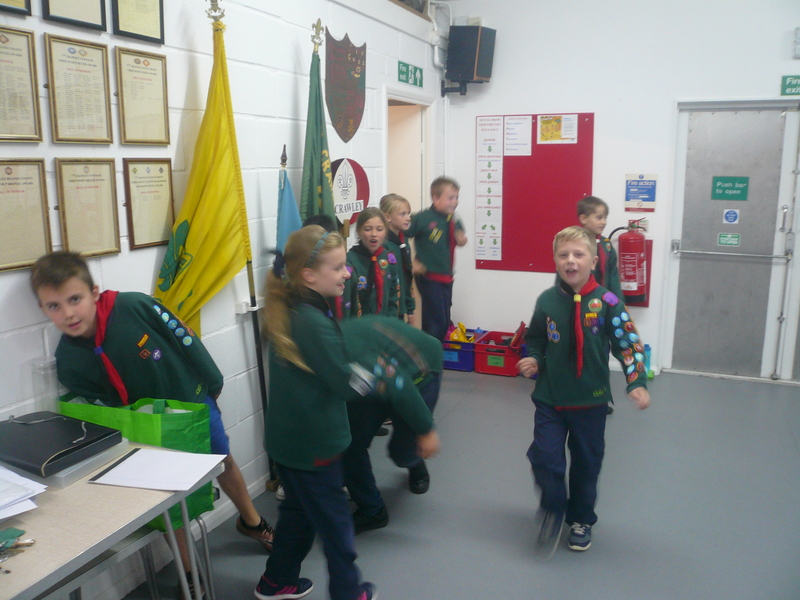 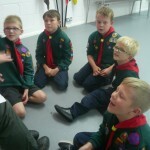 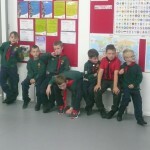 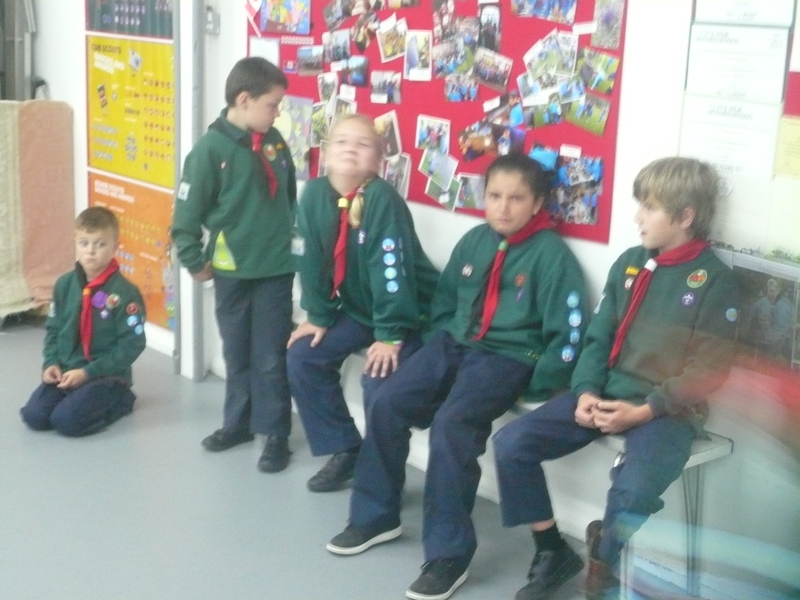 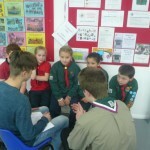 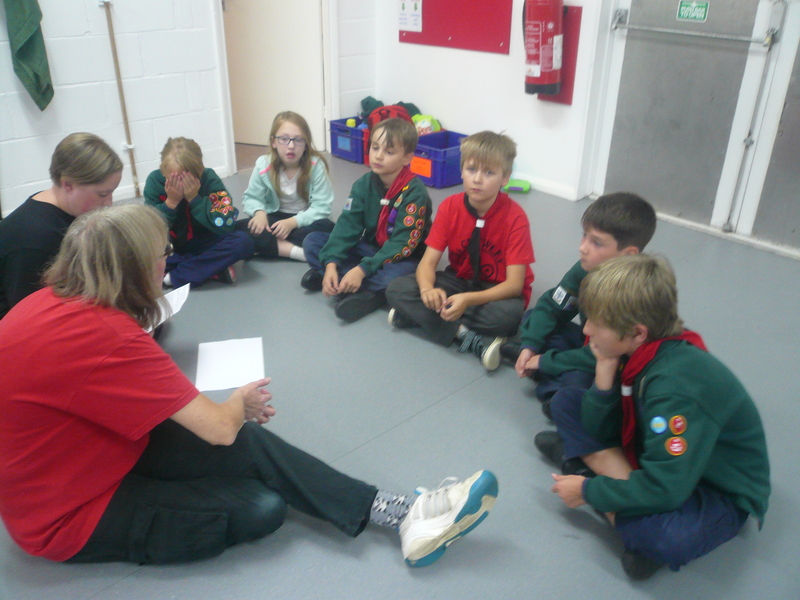 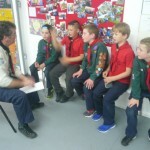 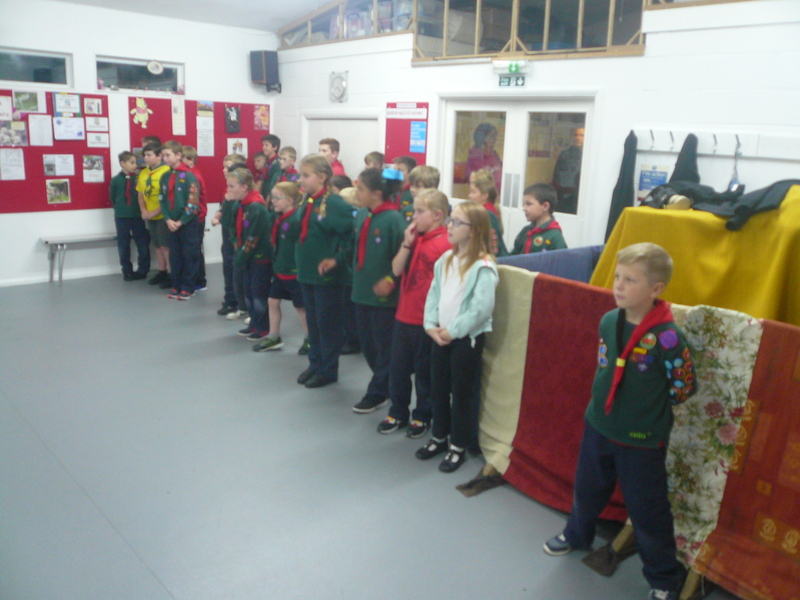 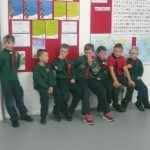 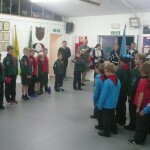 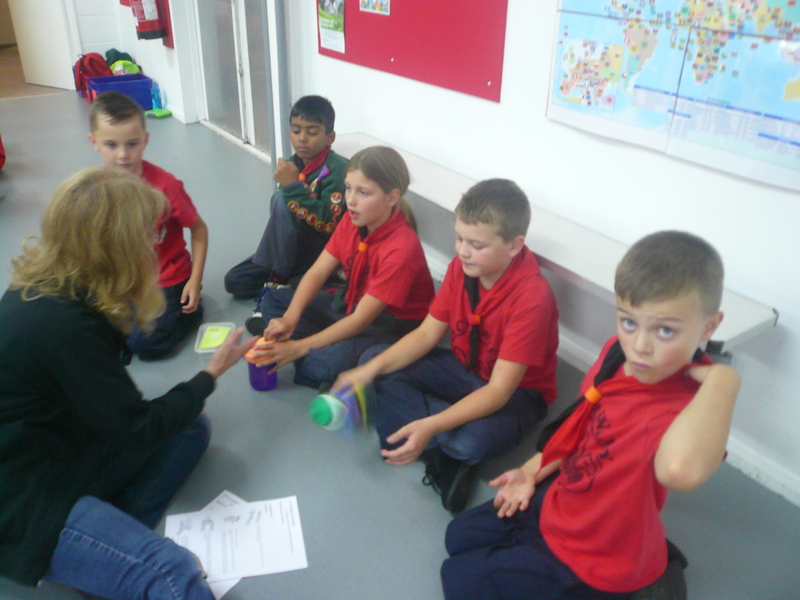 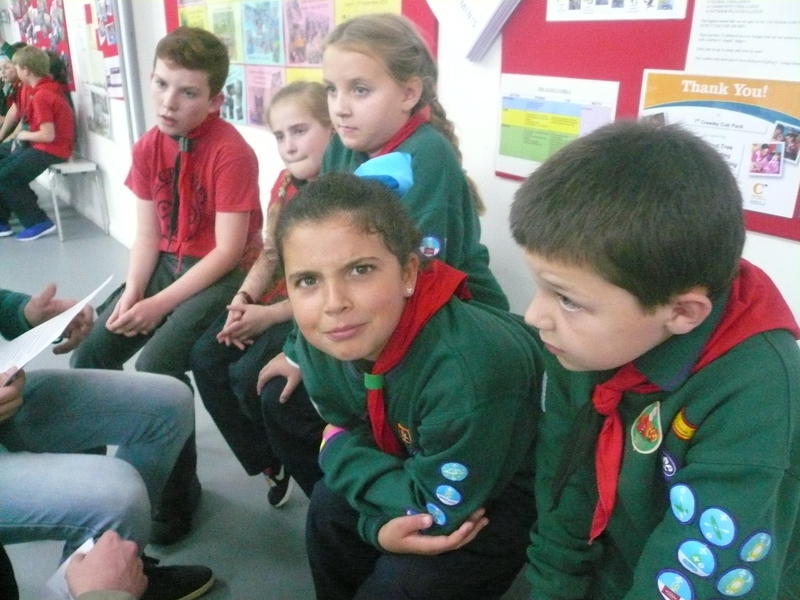 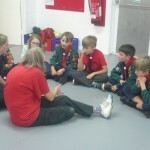 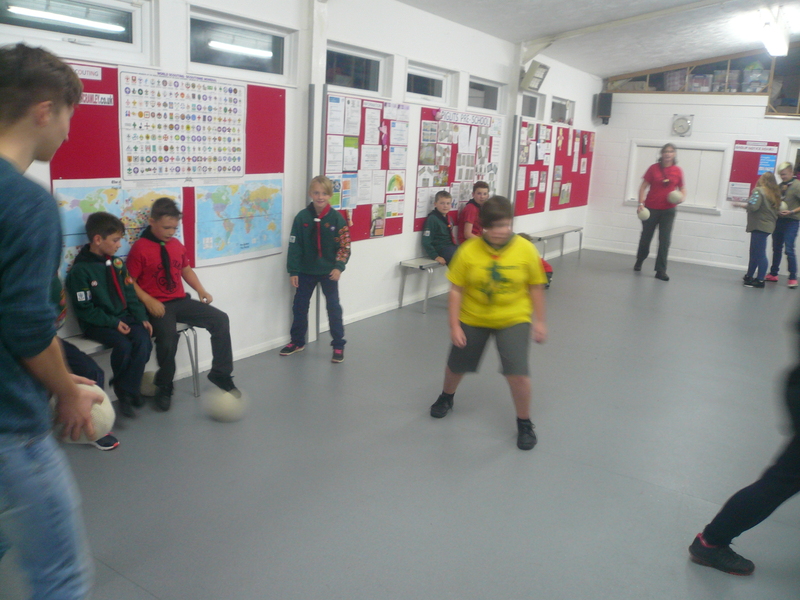 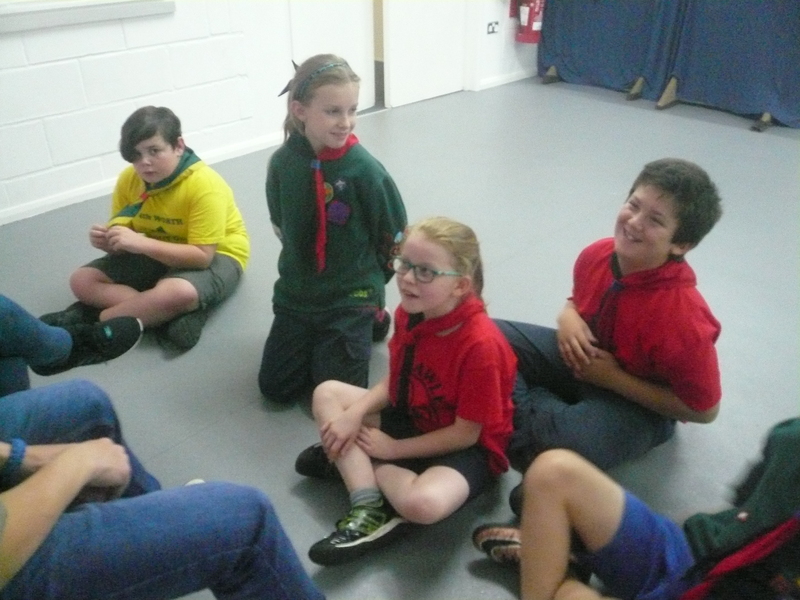 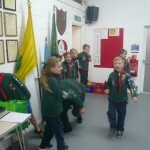 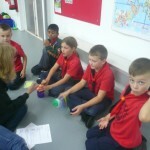 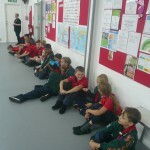 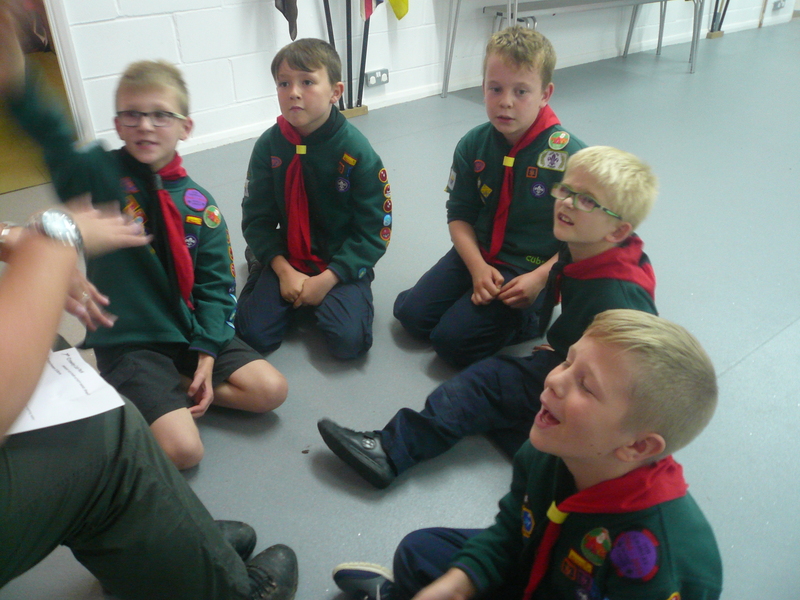 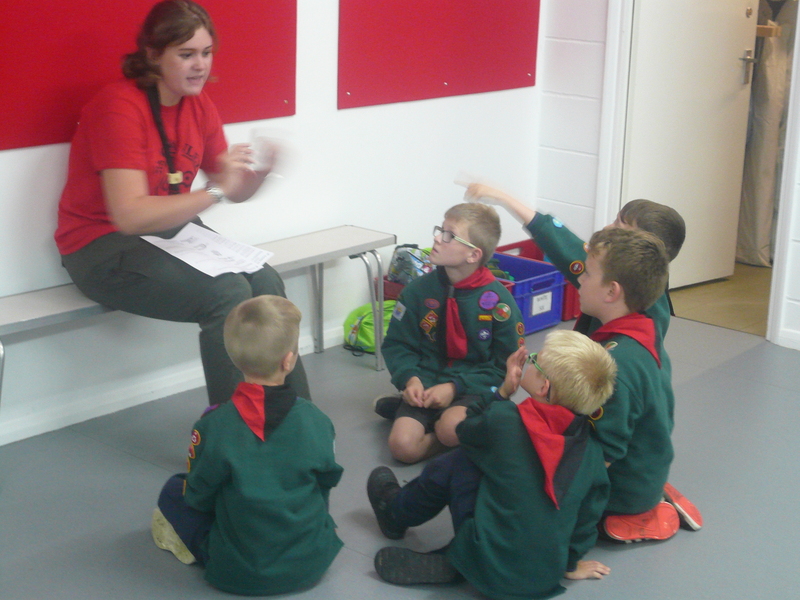 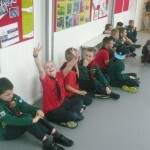 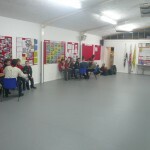 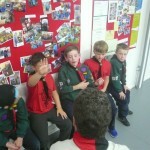 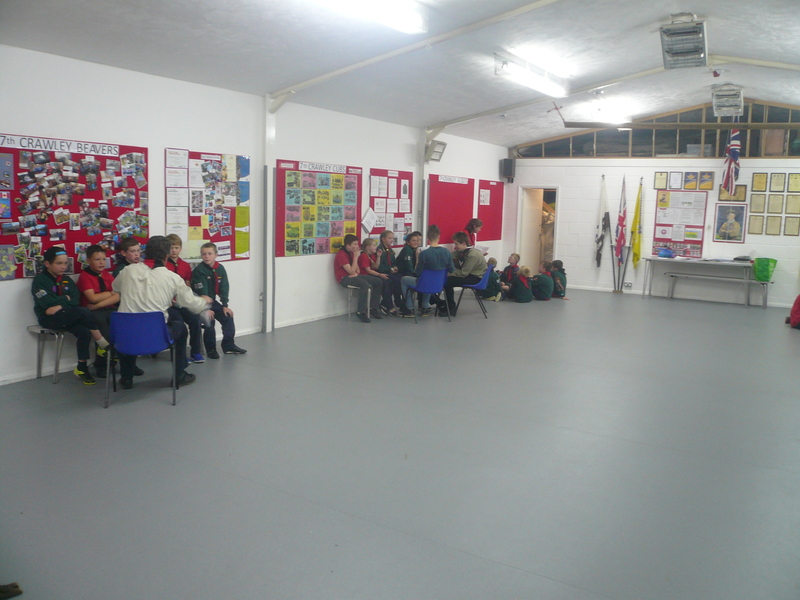 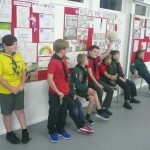 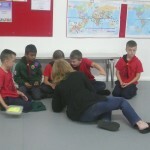 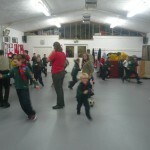 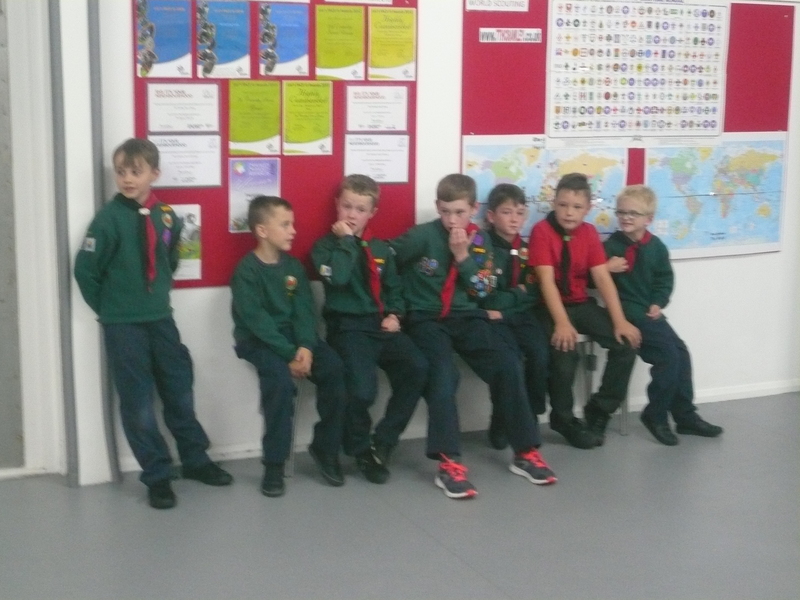 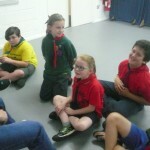 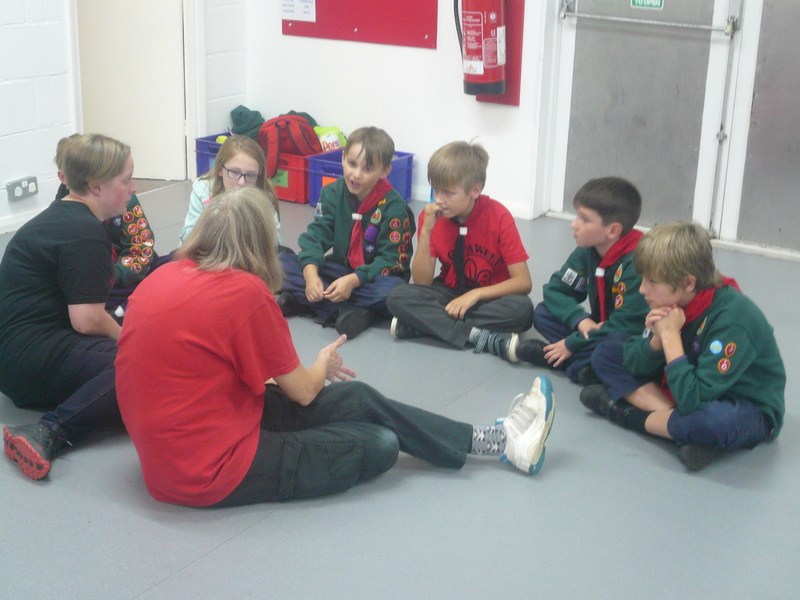 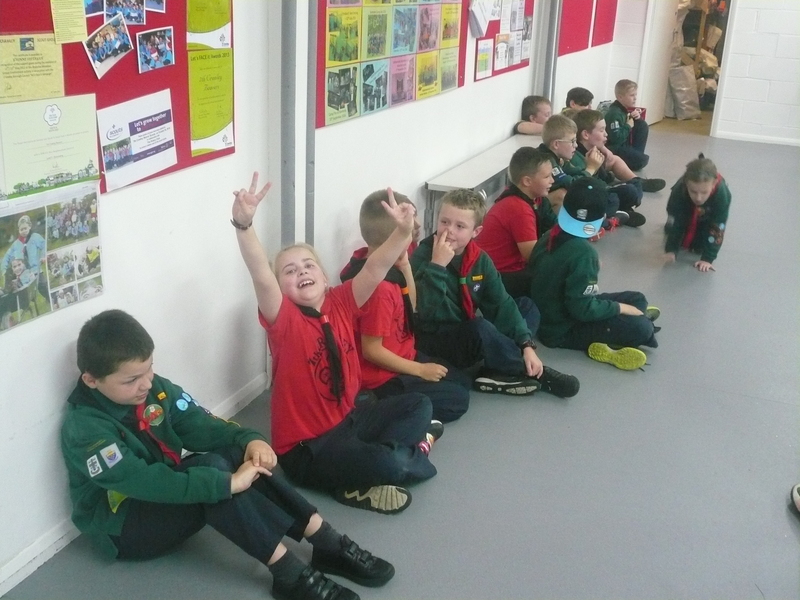 The Cubs continued to work towards the Emergency Aid Staged Activity Badge (Stage 3) tonight by learning about what to do if a casualty is suffering from bleeding or burns. 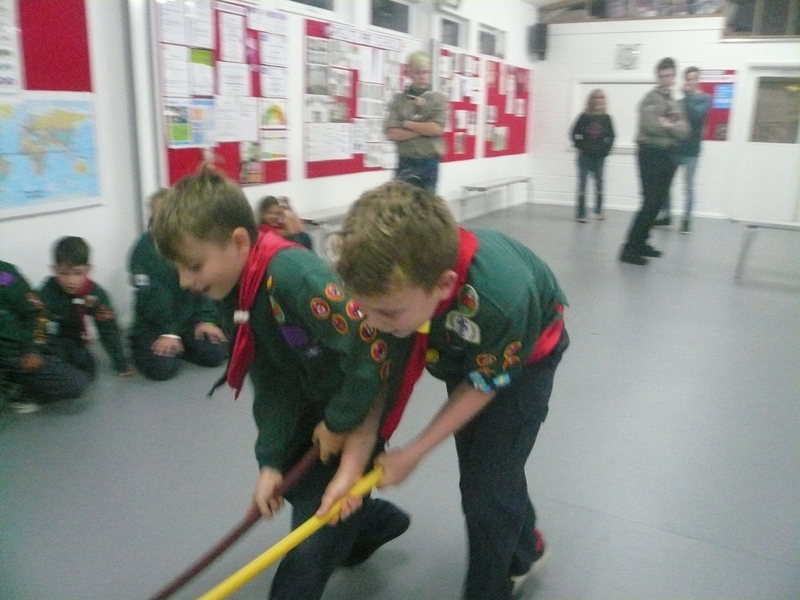 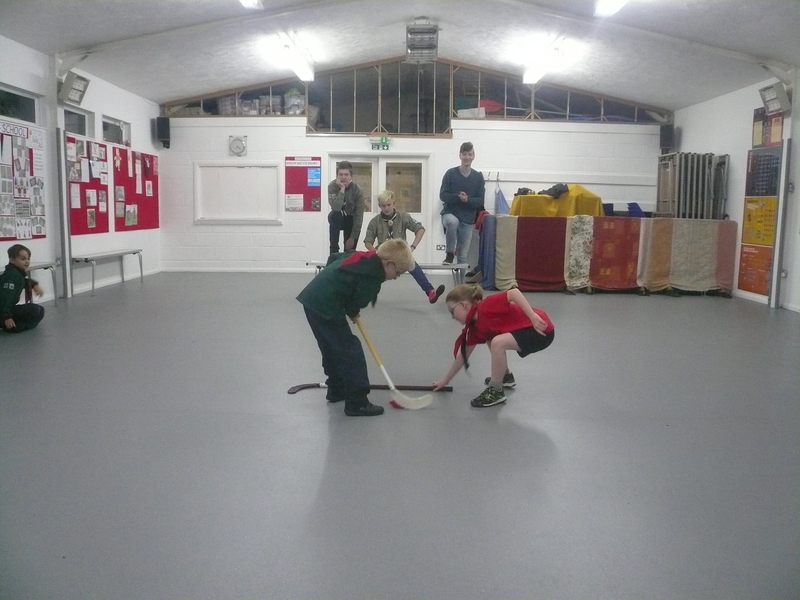 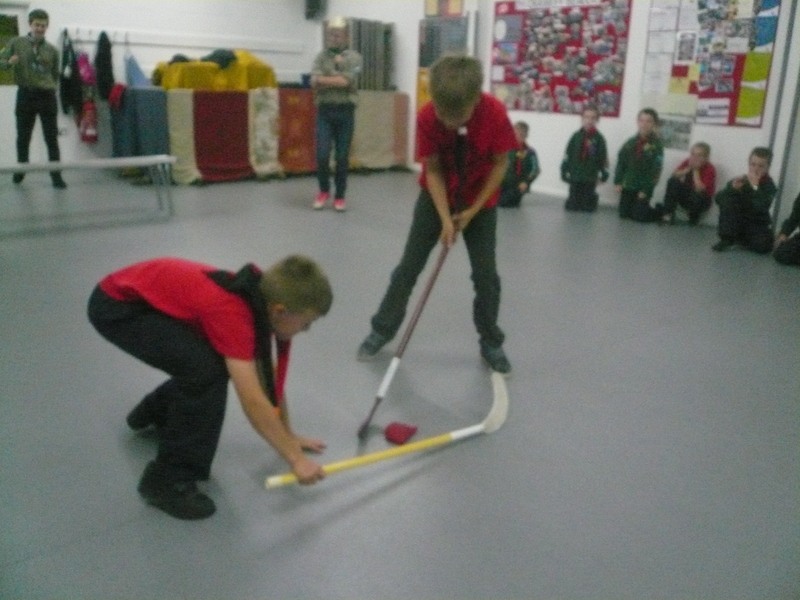 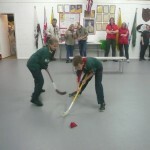 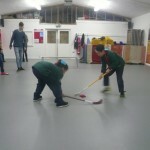 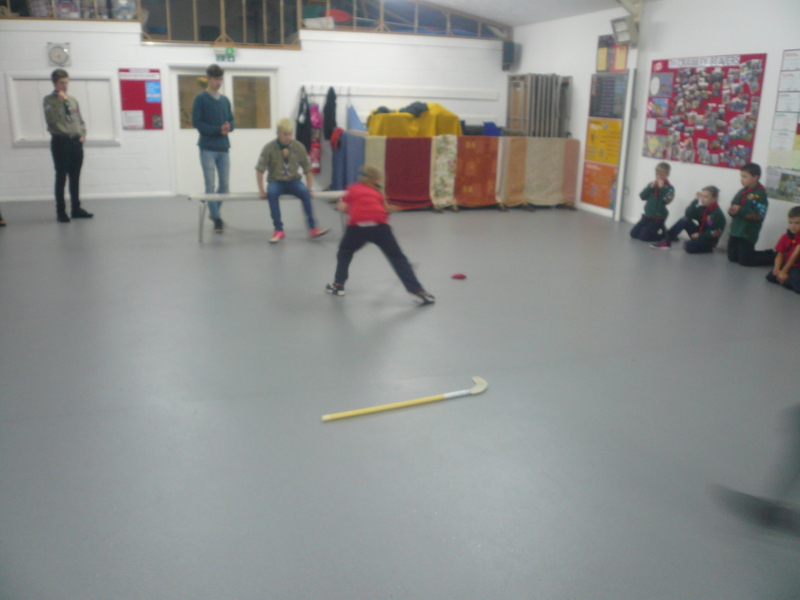 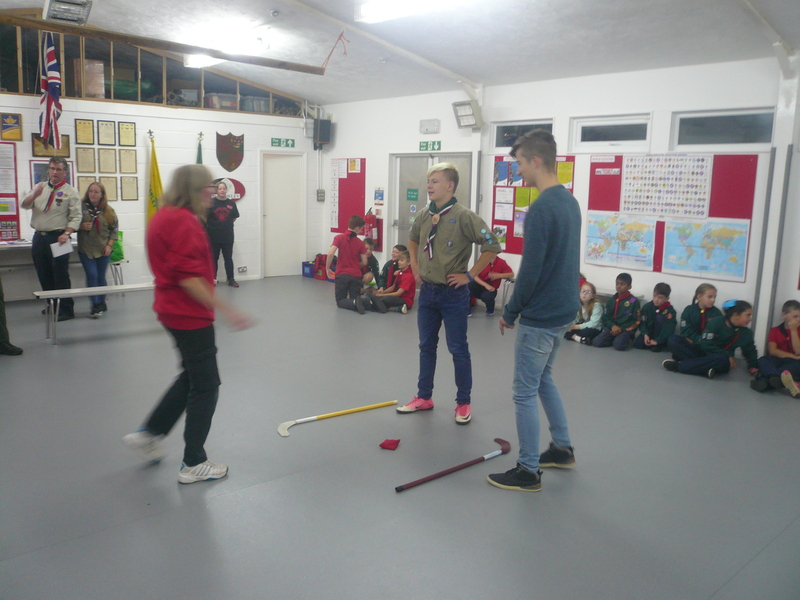 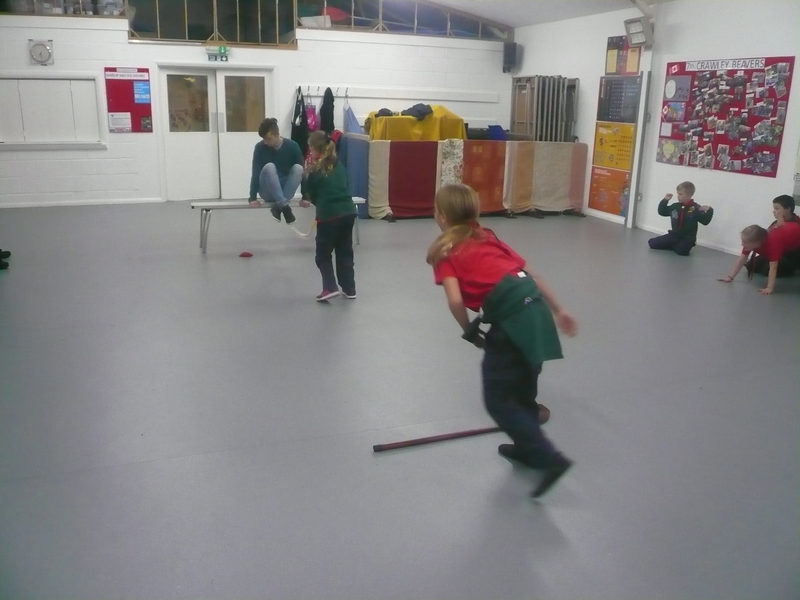 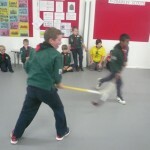 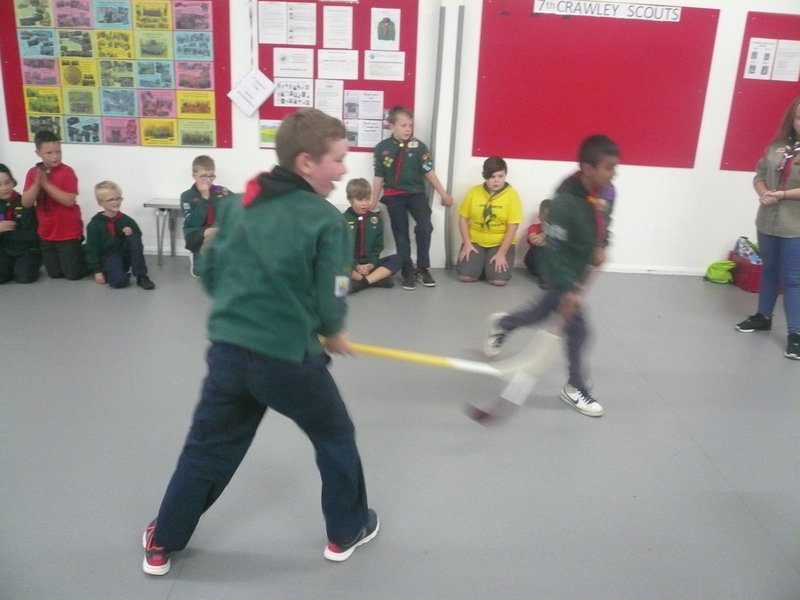 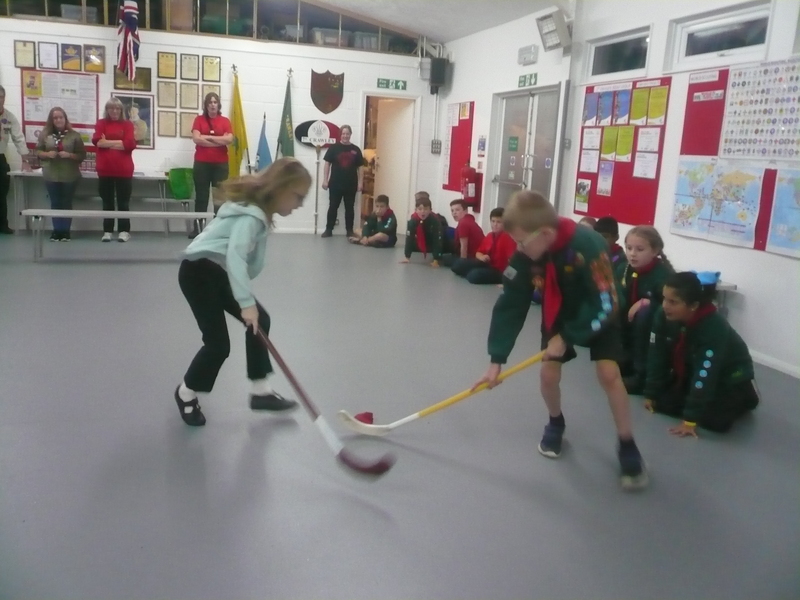 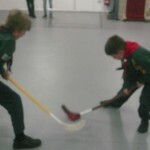 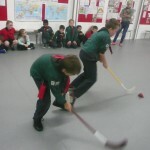 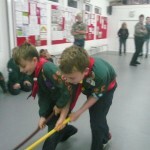 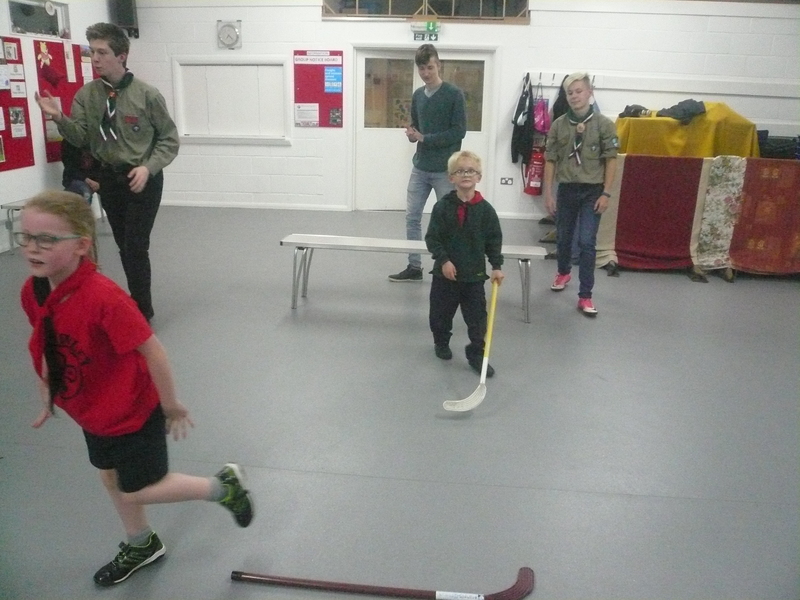 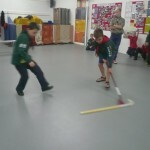 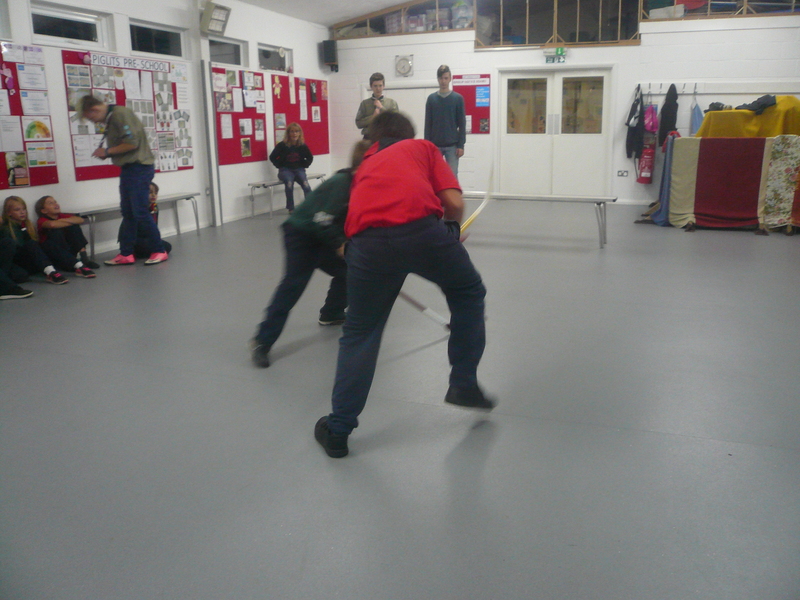 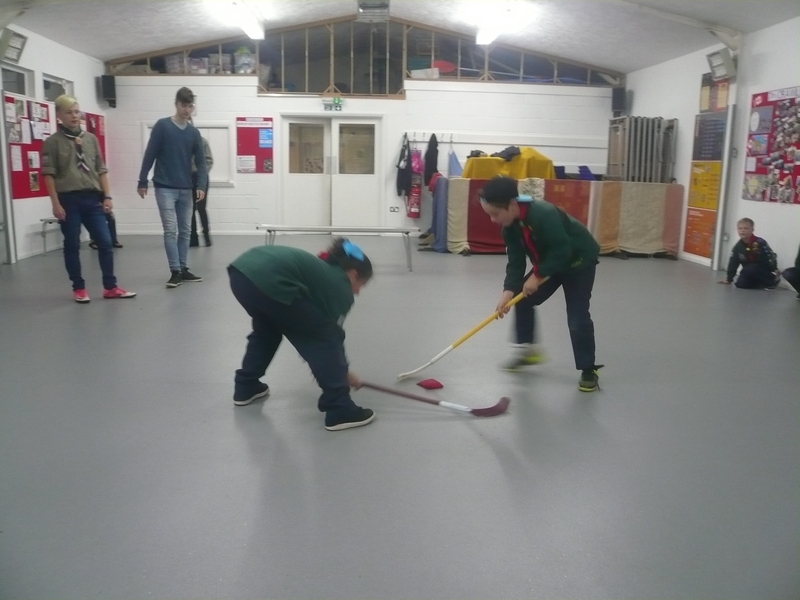 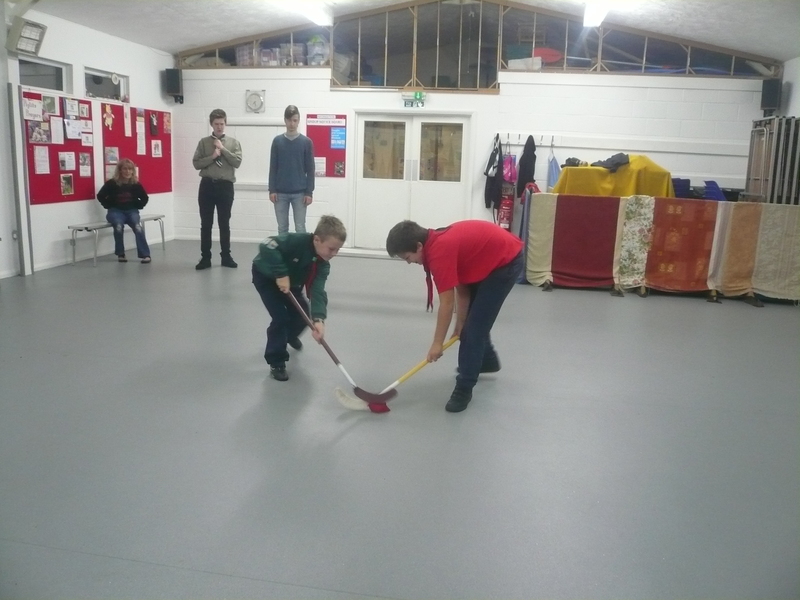 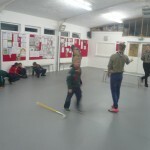 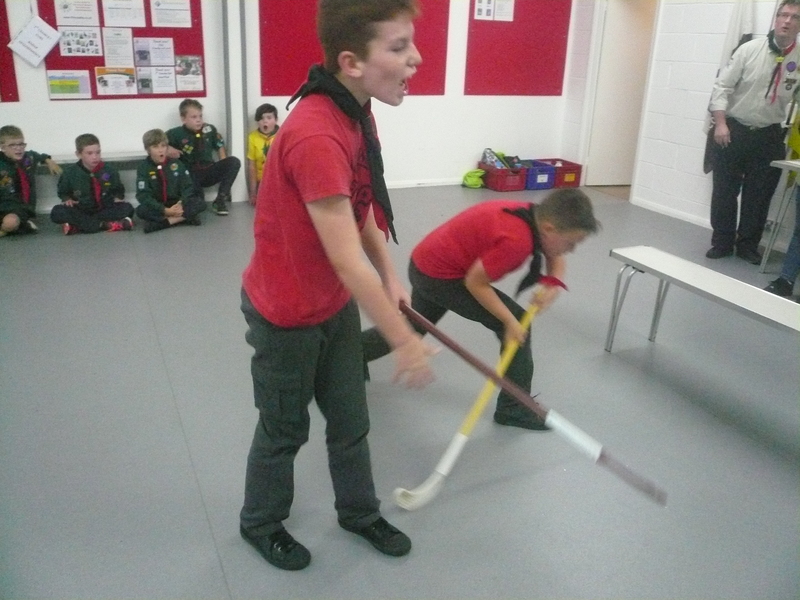 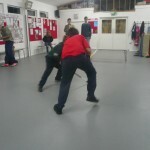 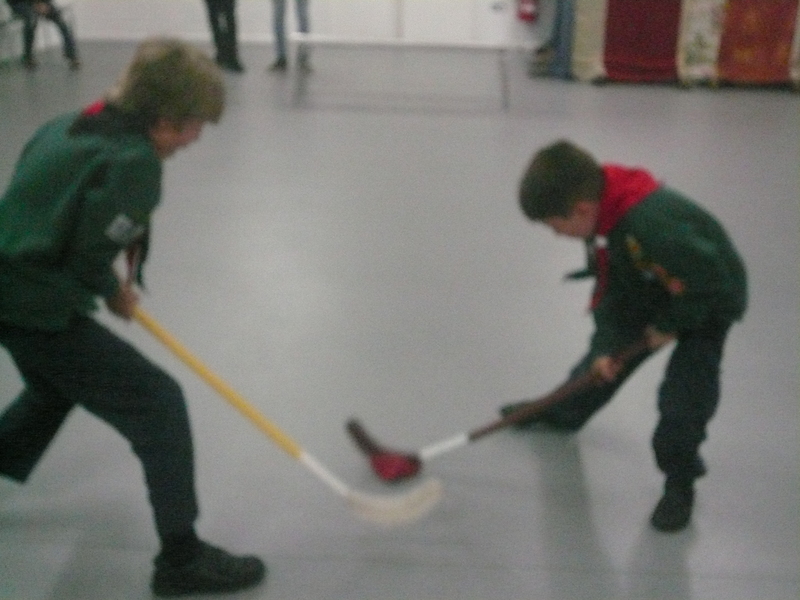 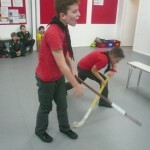 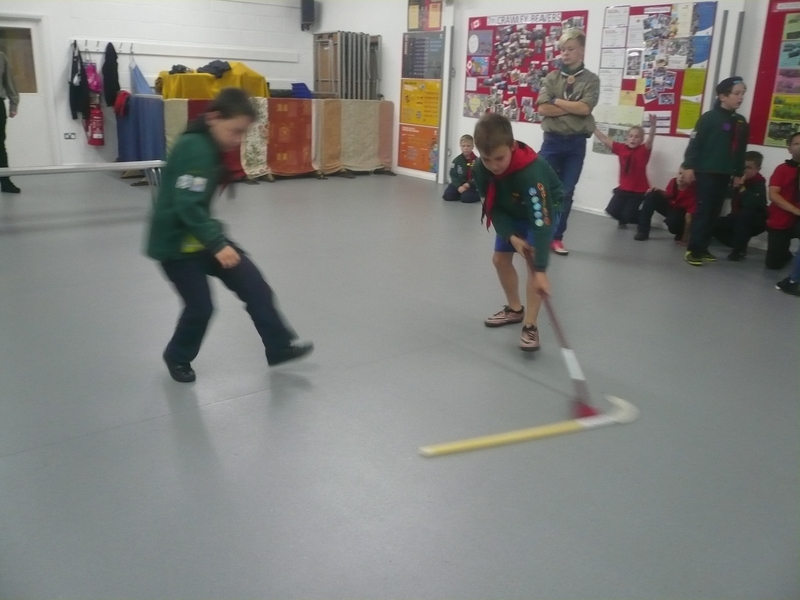 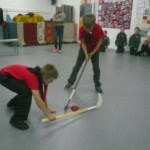 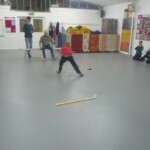 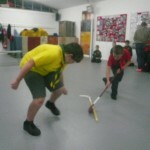 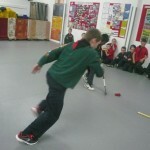 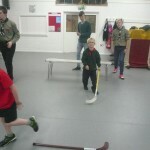 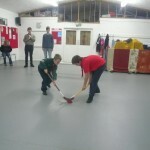 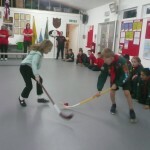 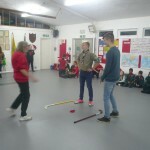 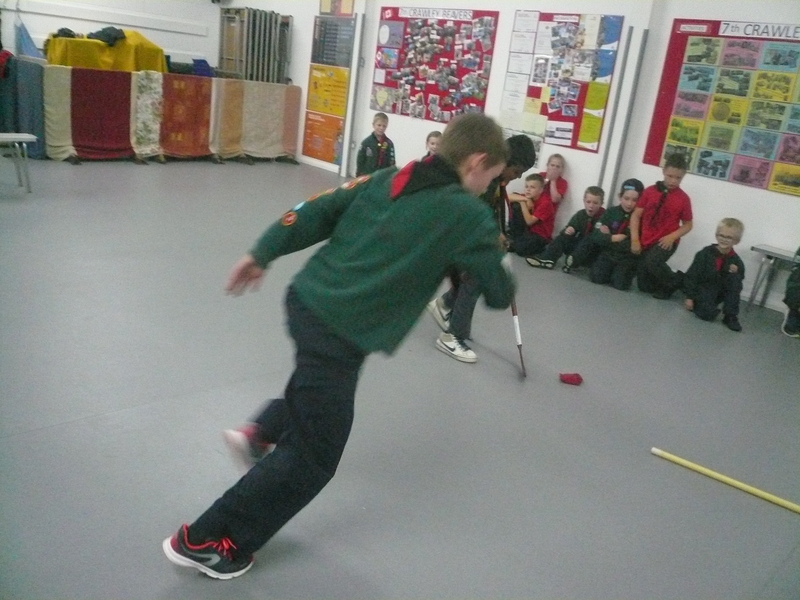 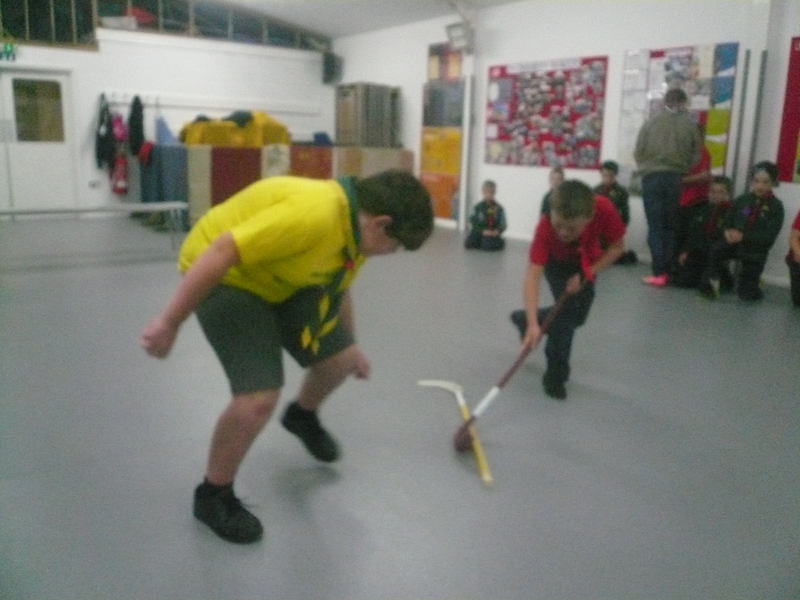 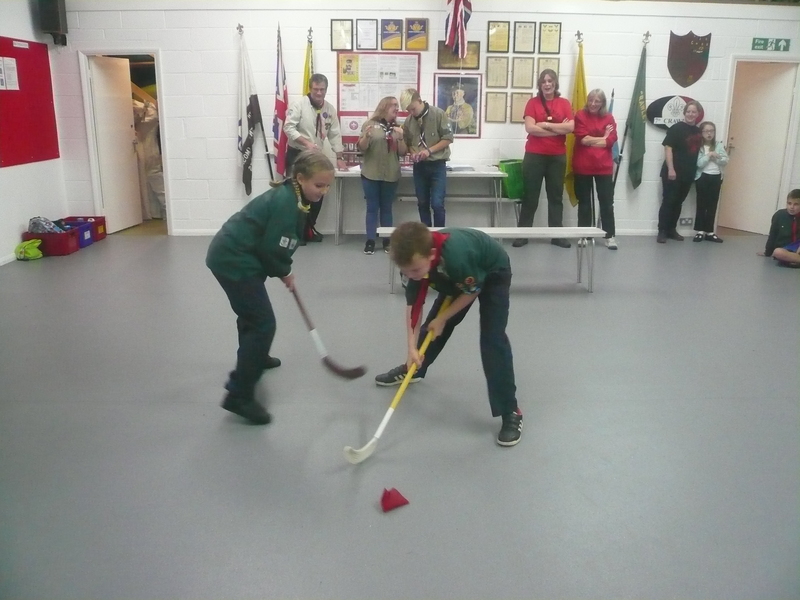 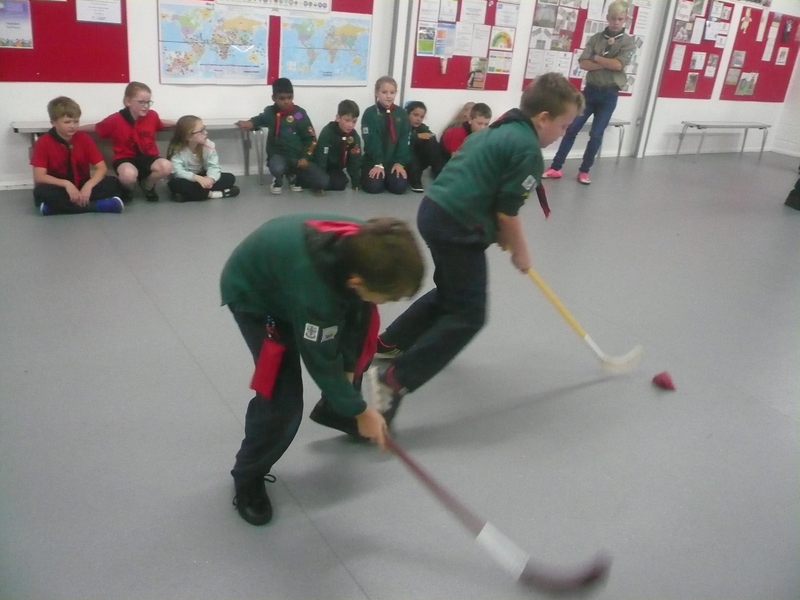 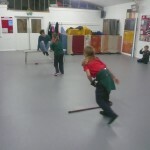 We also played some very exciting and close run games of hockey and the all time favourite …………………… Stinger! 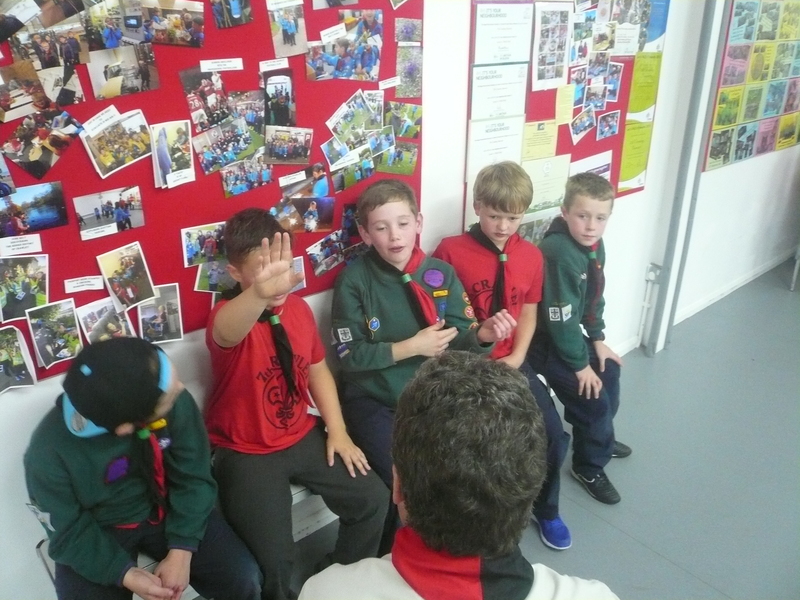 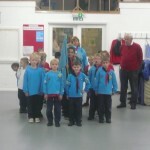 A full set of photographs can be found on the Group web site at ………………. 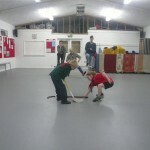 or a selection on my Facebook page (Paul Masters). 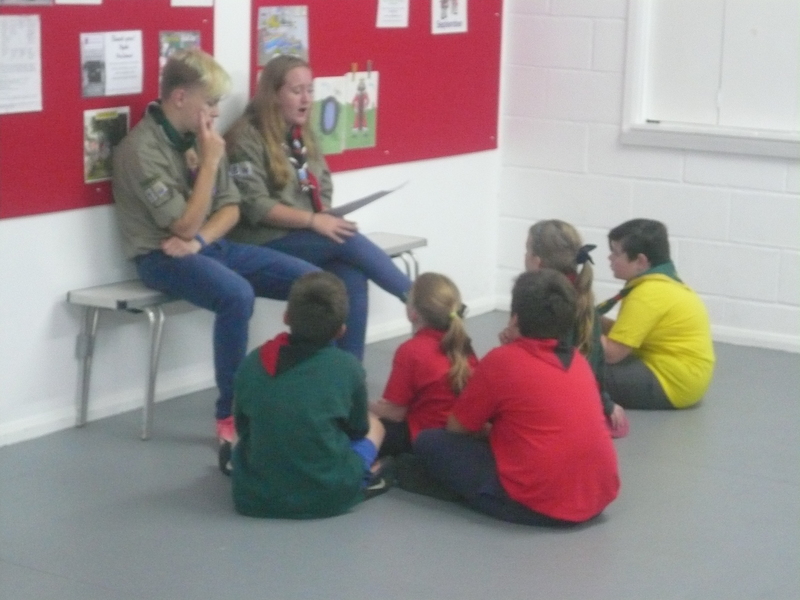 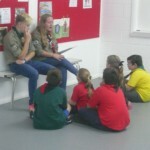 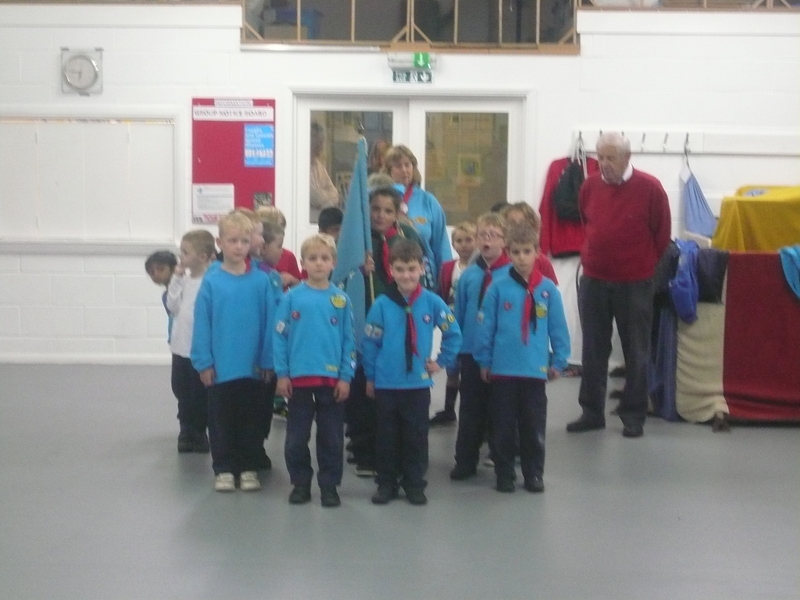 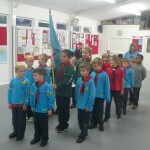 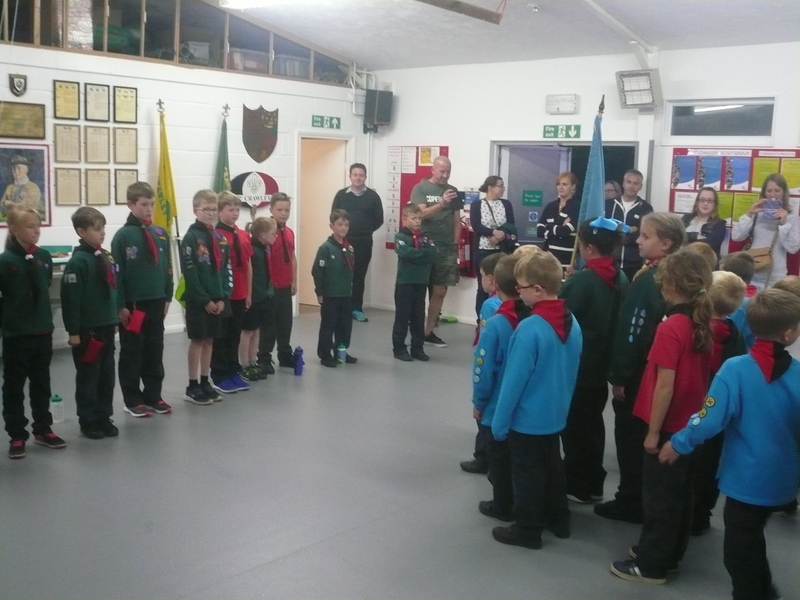 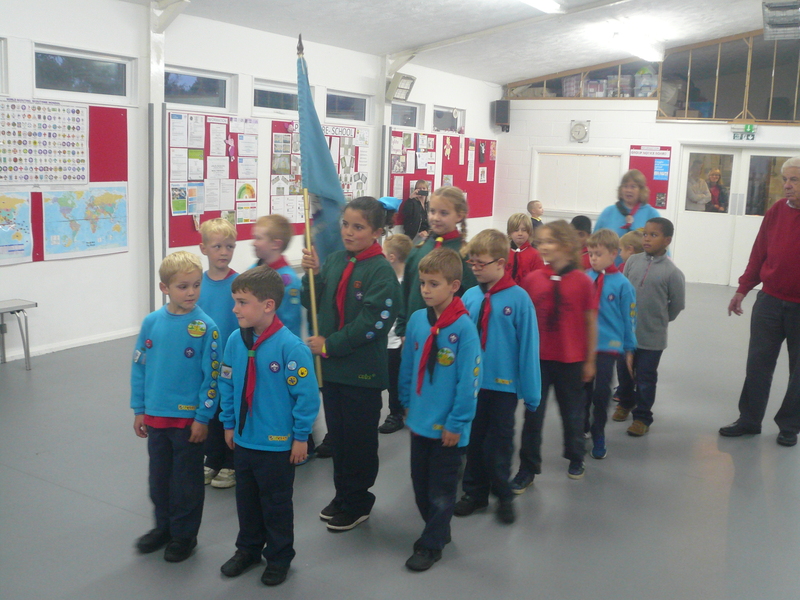 Congratulations to Chil, one of our leader team, who has completed all the requirements of her training and is now a fully fledged Cub Scout Sectional Assistant (CSSA).Â WELL DONE! 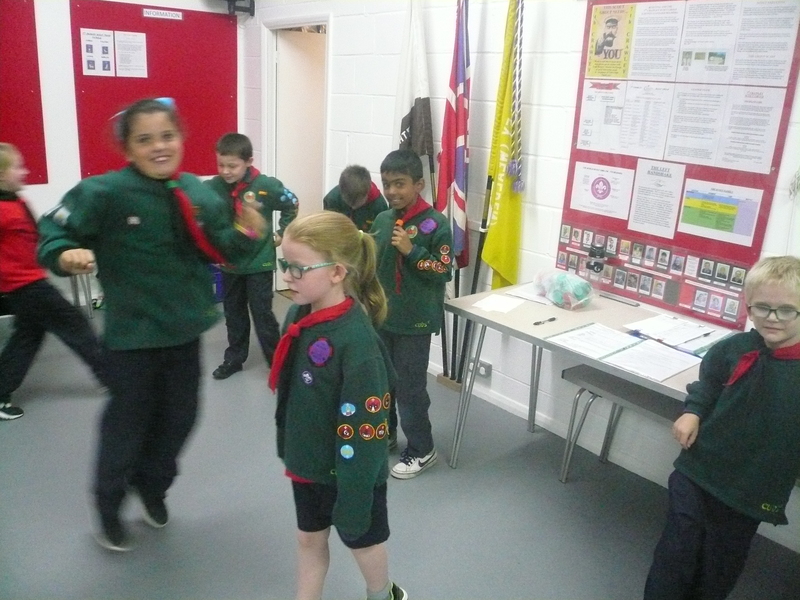 Further congratulations to the following who gained their Joining In badges tonight: Shaun & Scott (4 years); Bethanie (3 years) & Angelika (1 year). 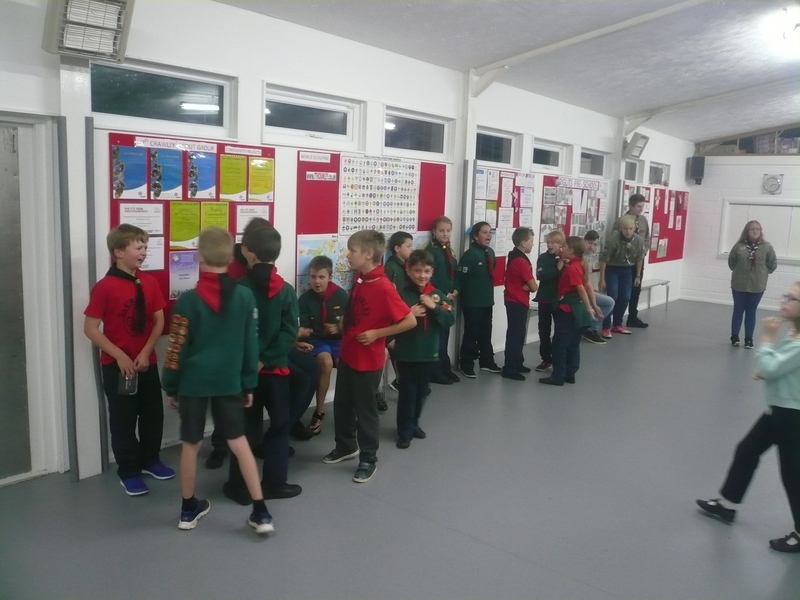 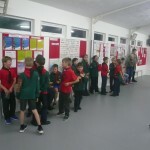 A good number of points were awarded tonight including for good sportsmanship, inspection (which we will be undertaking most weeks hereafter), for bringing in bottle tops, stamps etc and the completion of homework.